When will be Extreme Wales with Richard Parks next episode air date? Is Extreme Wales with Richard Parks renewed or cancelled? Where to countdown Extreme Wales with Richard Parks air dates? 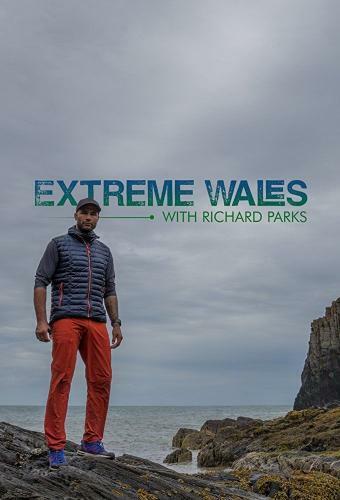 Is Extreme Wales with Richard Parks worth watching? Richard Parks celebrates the Welsh Year of Adventure with a dramatic and gruelling four-day cycle ride from the Brecon Beacons to the summit of Snowdon. Former Welsh rugby international turned endurance athlete Richard Parks is out to prove he can have extreme adventures right on his doorstep in Wales. This time, he is on a three-day, adrenaline-fuelled, wetand wild coastal expedition as he climbs, scrambles and swims the St David's Head Peninsula in Pembrokeshire. It is a 'coasteer' along the coastline where the sport was first invented. Starting on the cliffs near St Non, he heads for Abereiddy. On the way, he tackles the wild waters of the Ramsey Strait, where the Irish Sea meets the Atlantic Ocean, kayaking the white water and meeting people for whom adventure, the sea and these special rocks are a way of life. In this episode, Richard is on a three-day mountain bike expedition from the border to the coast. It's not about getting from A to B - instead, his route is off-road and packed with tough terrain as it criss-crosses Wales's wildest areas. His 140-mile journey begins at Offa's Dyke on the ancient disputed border between Wales and England. He encounters the beautiful yet remote Elan Valley, before experiencing adrenaline-filled downhill trails on a cutting-edge four-wheeled 'gravity bike'. Finally, with the weather and visibility against him, he faces the potentially dangerous summit of the mighty Cadair Idris, before heading for the finishing line at Barmouth Beach. Along the way, Richard meets riders of different ages and abilities, incredible characters, all connected by a love of adrenaline-filled, off-road adventure. In this final episode of the current series, Richard is on his toughest challenge yet, taking on an extreme adventure that he has never attempted before. He has just 10 days to learn how to fly a paramotor, a whole new skill for Richard. Paramotoring, which is similar to paragliding, uses a parachute canopy to carry the pilot through the air, but with the addition of a motor-powered propeller strapped to their back. This makes it faster and more manoeuverable. If Richard can master this marvel of the skies, he will attempt to journey the length Wales, from south to north, on a two-day aerial expedition. Along the way he will be given guidance and training from paramotoring expert, and world-class flight instructor, Alex Ledger and his team. Alex must prepare Richard, build his abilities and make him safe to fly as he faces what will be real dangers in front of him, whilst thousands of feet in the air. Extreme Wales with Richard Parks next episode air date provides TVMaze for you. EpisoDate.com is your TV show guide to Countdown Extreme Wales with Richard Parks Episode Air Dates and to stay in touch with Extreme Wales with Richard Parks next episode Air Date and your others favorite TV Shows. Add the shows you like to a "Watchlist" and let the site take it from there.